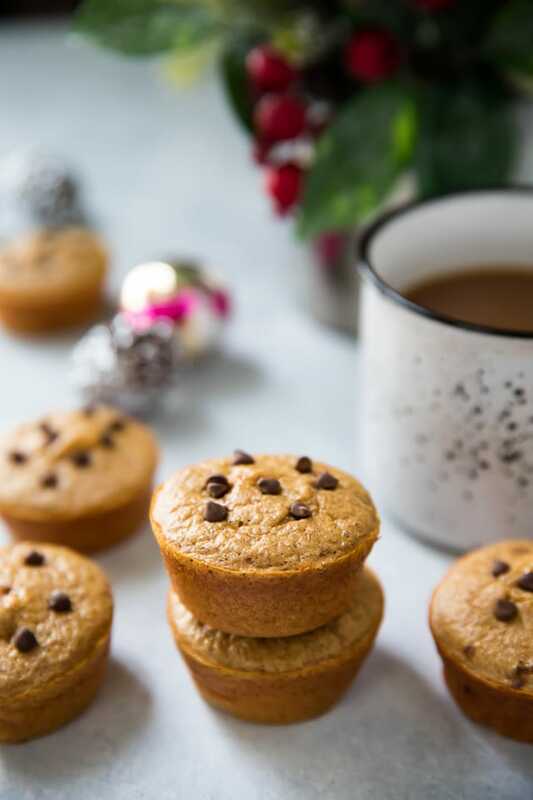 These quick and easy Gingerbread Protein Muffins are a spicy-sweet, cozy grab-n-go option for breakfast or snack that is healthy and gluten free! These delicious muffins and this post are sponsored by Renew Life Ultimate Flora Probiotics. In my mind, there is nothing as cozy as gingerbread. 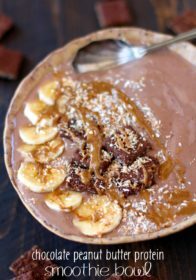 From the sweet, rich flavors of molasses to the punch of ginger that wakes up your senses and warms you to the kiss of cinnamon that swirls it all together in comfy-food goodness. I absolutely love that I can still enjoy holiday flavors without the guilt and even get my fair share of protein. 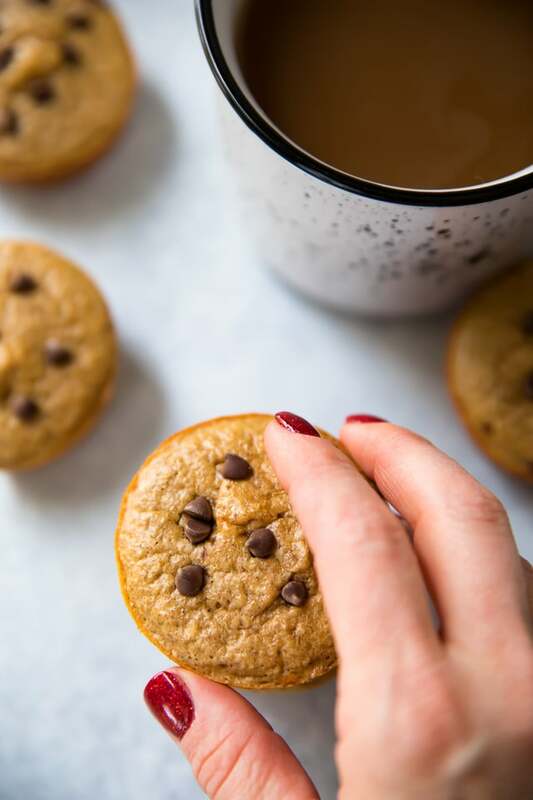 Not to mention, the fact that these have just a little over 100 calories per muffin, and no flour, oil, butter or sugar! I’m telling you, you have to try these muffins for yourself! You (and your family) will be so happy you did! 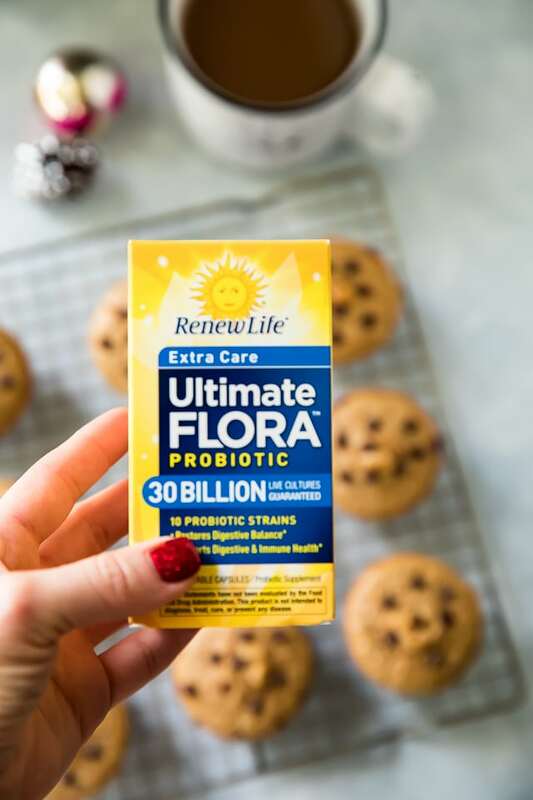 Not only am I pretty smitten with the muffins, I’m also pretty pumped about Renew Life Ultimate Flora Probiotics to help keep everyone in my family feeling their best. It can be so miserable to start feeling sick around holidays. I sure don’t want any of us missing out on all of the fun festivities, so we’re building our immunity through taking a daily probiotic. 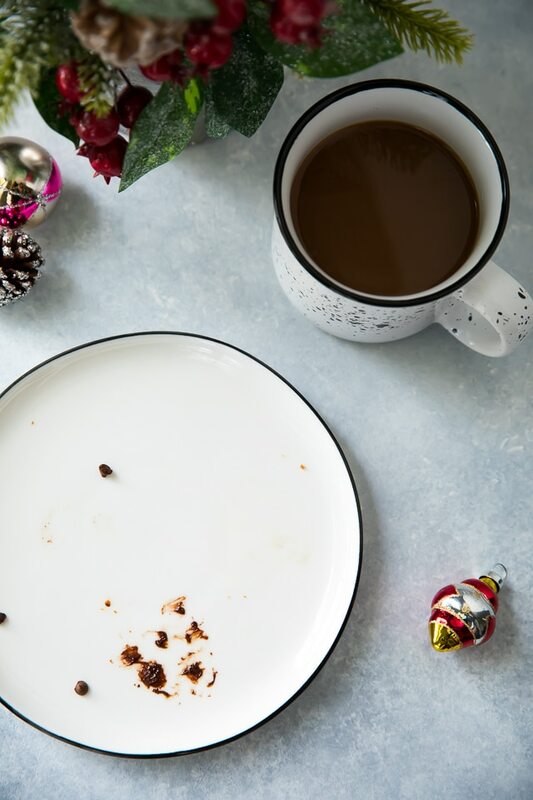 We’re also taking care of the holiday belly bloat, by taking an enzyme supplement like Renew Life® Digest Smart Enzyme prior to heavy, rich meals. Renew Life® Digest Smart Enzymes contain 25 plant-based and raw enzymes to support your digestive system. The enzymes help to break down foods and get rid of gas, so you don’t have any uncomfortable indigestion or bloating. I’m sure you can relate, especially during the holidays, digestive health is something that we all have to deal with. 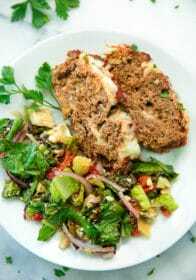 Having a healthy digestive system is so important with regards to the way we feel and what we’re able to accomplish in our day. Research shows that having a healthy gut positively affects mood, memory, immune health, digestion and more – all so essential to our everyday lives. 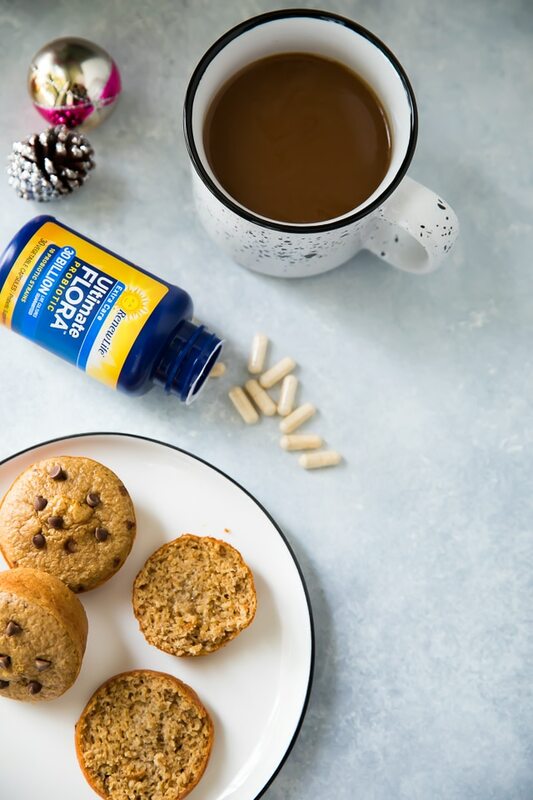 Taking a daily probiotic, like Renew Life Ultimate Flora Probiotics and enzymes, like Renew Life® Digest Smart Enzymes, will help you to restore digestive balance and gut health, which is important this time of year and really any time of the year. It sure does take guts to make it through the holidays! 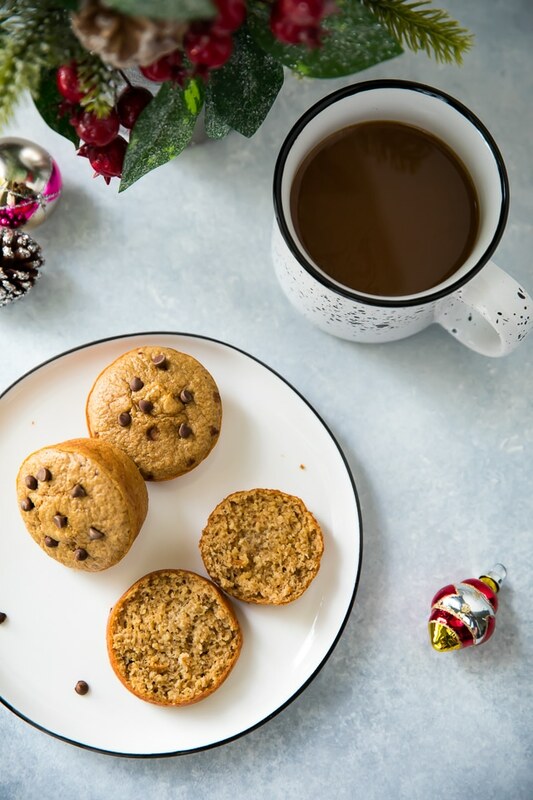 Now, go ahead – pour up a steaming cup of Joe, snuggle up in a cozy, wooly, blanket and devour one… or a few of these scrumptious, wholesome Gingerbread Protein Muffins. 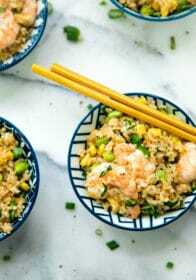 I know you guys are going to love them and when you give them a try, be sure to comment and let me know what you think. Also, snap a picture for Instagram and be sure to tag #kimscravings, so we can all see your deliciousness. Enjoy, friends! 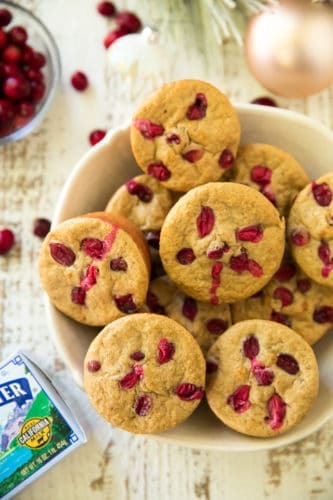 These muffins have a festive burst of flavor and plenty of protein to power your day! 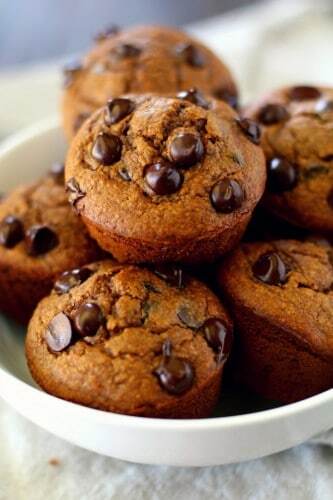 Blend all ingredients except the chocolate chips (if using) in the blender and pour into well greased muffin tins. If desired, stir in mini chocolate chips. Bake at 350 degrees for approx 15-20 minutes. 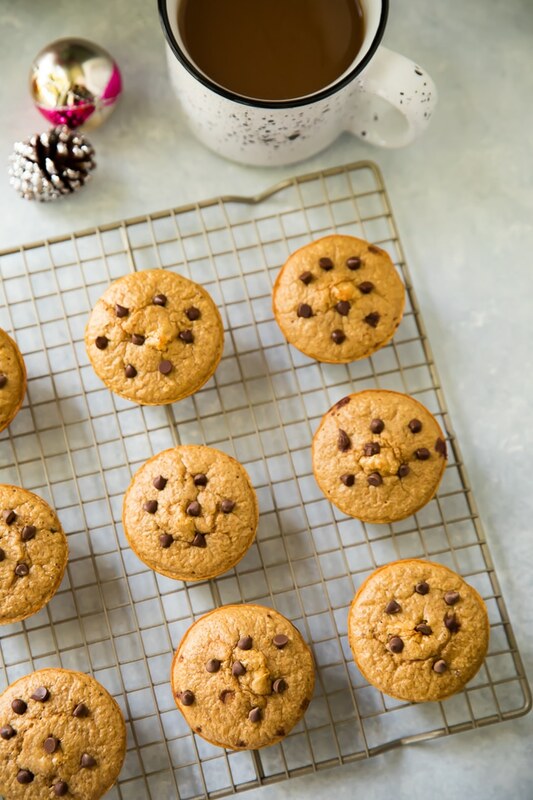 Love the Gingerbread Protein Muffins and looking for more coziness? 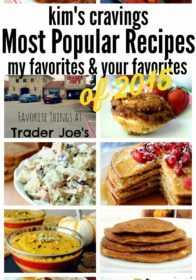 Check out my favorites! Have you tried taking a daily probiotic? How about an enzyme? Renew Life Probiotics and Digest Smart Enzymes are available at health food stores, grocery, drugstores, and other major retailers, including Target and Walmart. 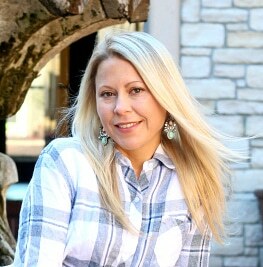 To learn more about Digest Smart Enzymes and the full line of Renew Life® supplements, visit www.RenewLife.com. 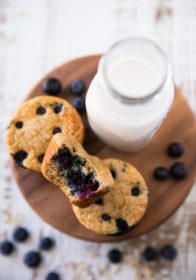 These delicious muffins and this post are sponsored by Renew Life Ultimate Flora Probiotics. 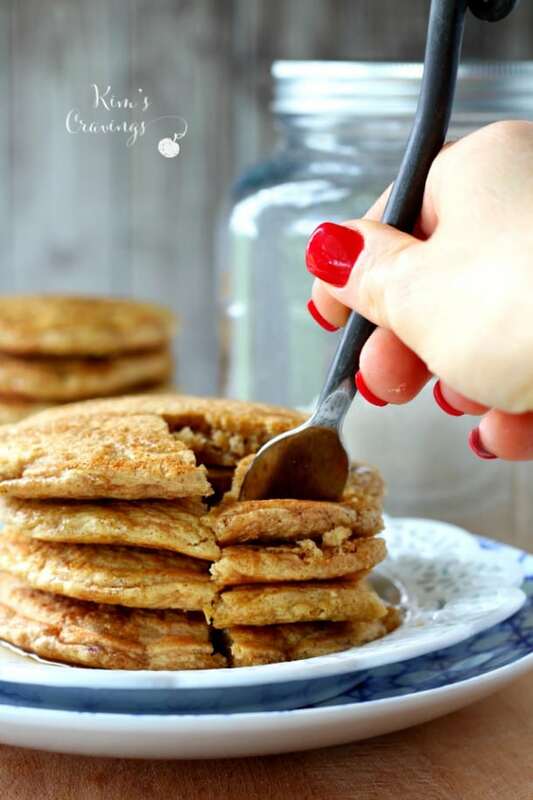 Gingerbread muffins- do you have to use stevia or can you substitute for honey. 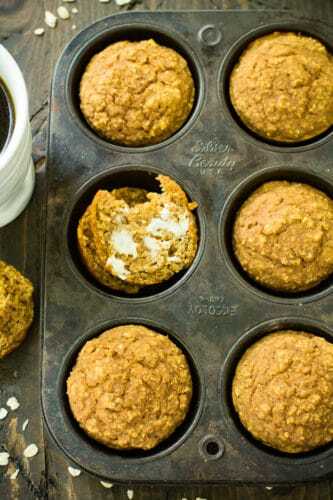 I use honey in lots of my muffin recipes and it works great. I haven’t tried it in this one, but I think it would totally work. Enjoy! That is so awesome!! I hope you love it as much as my husband and I did! I will have to check out that supplement, I know we will be dealing with some holiday bloat too. These muffins look delicious! I love gingerbread, it is such a great holiday flavor. I’ve used Renew Life probioitcs for years and love them! They definitely are a quality brand. And the muffins look delicious. 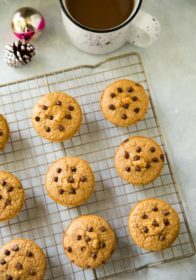 I love gingerbread and pairing that flavor with a muffin is a great idea! These do sound like they’d be really yummy! 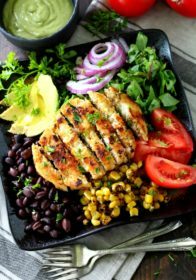 And would be a good snack to take along to eat after a work out. These look great! I don’t have a scoop for my protein powder. Please could you tell me what an equivalent measure would be for 1 scoop? Use about 1/4 cup, or if you’re measuring with a scale, between 25-28 grams or so. Hope you enjoy!